Sorry for the delay – things have been a wee bit busy! 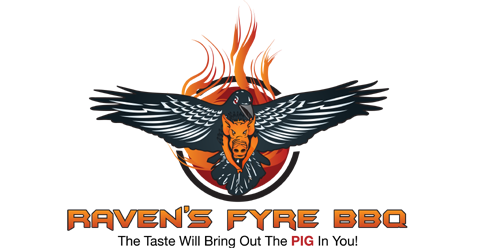 So we (Saffron and I) cooked her second / my first Dutch Oven championship, and I have to say that I had an awesome time, and learned a number of things. Lesson 1: I really need more practice in Dutch Oven competition cooking! Oh, another little tidbit in the rules is that you’re supposed to be cooking with something close to “on the trail” authenticity. Translation: No electric / battery-powered equipment. Making bread? You’re kneading and rising like great-grandma did! Creaming butter? You had better make sure it is well softened first. 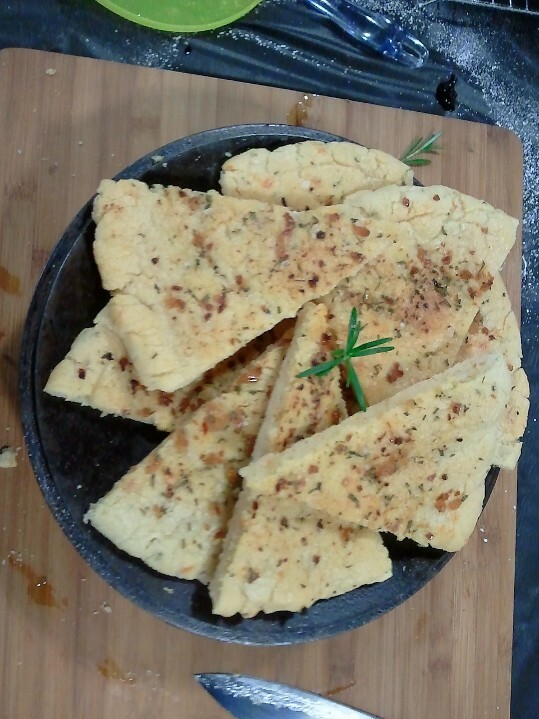 As a team, we chose to take a minimalist approach for our presentations, the better to highlight the food. Saffron’s chicken did well (third place in our round), but neither the focaccia or cake did as well (OK, last place for both). While both the bread and dessert had judges who liked them, unfortunately the majority were on the “not so much” side. The focaccia’s third rise, after it was formed, didn’t go so well; it ended up a bit dense and a bit crunchy. I attribute that to two things: The elevation (SLC, anyone? ), and the Dutch Oven I was rising in may have gotten too hot, and knocked off the yeasties. The cake had its own issues. We didn’t let it cool sufficiently before dropping it out of the oven, so part of it stuck. Here’s another rule for you: What you cook, you must serve. If you have something burnt, you must turn it in. The cake stuck in the bottom of the oven? You must get it out and get it to the judges. 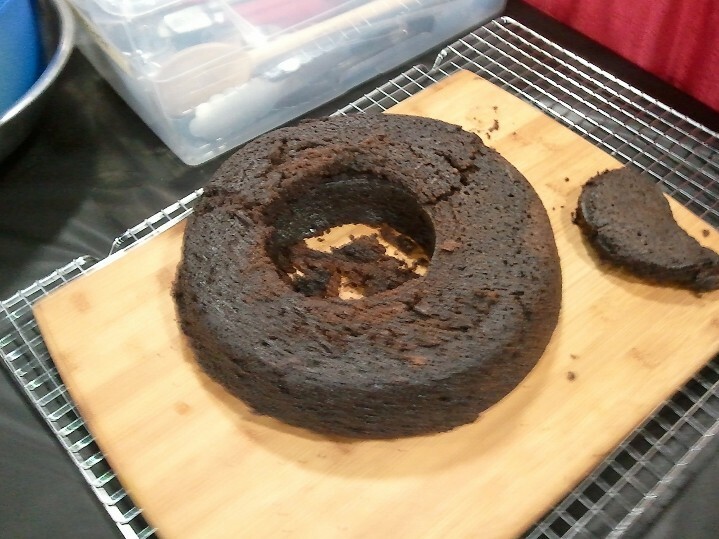 I am happy to say that after enough cooling, we were able to remove the remaining cake, and I got it assembled into something approaching the desired shape. In the end, it wasn’t the extraction failure that hurt so much as the chipotle powder in the recipe. 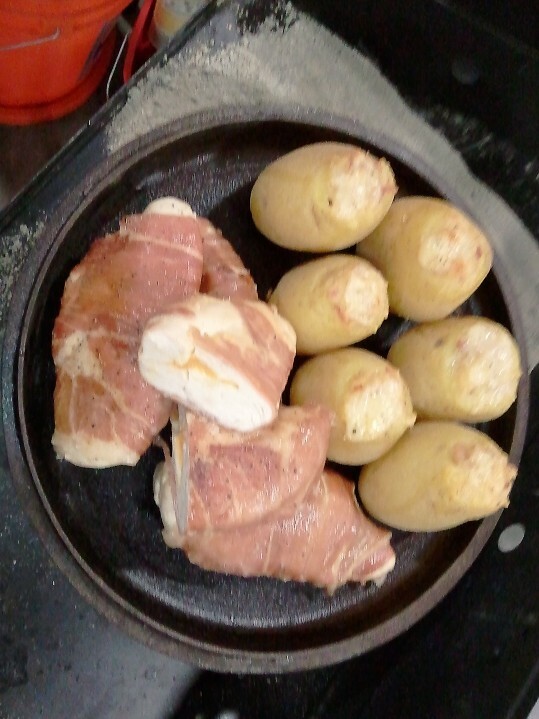 Even after my test cooking, it turned out to be too much (while I liked the heat, I will admit it was hotter than expected). Lesson 2: Even though technically in the Southwest, Salt Lake City residents are heat wimps. Even though the cooking portion of the day didn’t go as well as we would have liked, the event was tons of fun, and I’m happy to say that we met a lot of awesome people. I’m looking forward to qualifying again so that I can give it another run. 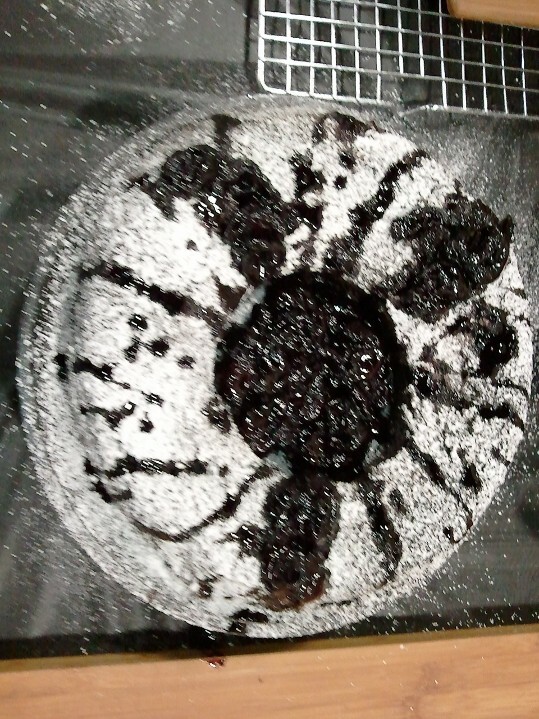 Cake after fixing – ready for turn-in. Saffron of Bush Kitchen and I are part way through our Salt Lake City Cooking Adventure. After powering through a 19 hr SEA-SLC drive, we got to the Sportsman’s Show in plenty of time to check in, knock out some final bits of shopping, and see the turn-ins for the first round of the IDOS Dutch Oven Championship. The turn-in were amazingly beautiful. After sticking around for the results, we headed off for food and sleep, thus to be ready for our turn in Friday’s round.